Below you will find Top Kendriya Vidyalayas in Himachal Pradesh 2018, List of Best Kendriya Vidyalaya Schools in HP Region. Kendriya Vidyalaya, Ghumarwin, Bilaspur is being managed under the aegis of Kendriya Vidyalaya Sangathan. 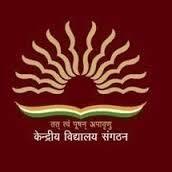 Kendriya Vidyalaya, Nadaun, Una is run by the mammoth organization the Kendriya Vidyalaya Sangathan. Started in the year 2007, Kendriya Vidyalaya, Keylong, Lahaul & Spiti is a Co-ed English medium school managed by the Kendriya Vidyalaya Sangathan. Established in July 2000, Kendriya Vidyalaya NHPC Chamera-II is located at NHPC Residential Complex on the bank of Ravi River at Karian. Founded under the patronage of Kendriya Vidyalaya Sangathan, New Delhi, Kendriya Vidyalaya, Chamera-1, N.
Kendriya Vidyalaya, Holta Camp Palampur, Kangra since its inception is being managed under the aegis of Kendriya Vidyalaya Sangathan. Kendriya Vidyalaya, AFS Kasauli, Solan was founded to cater to the educational needs of the children of the service personnel of the Naval establishment. Kendriya Vidyalaya, Naleti, Kangra is a Co-ed English medium school managed by the Kendriya Vidyalaya Sangathan. Kendriya Vidyalaya, Jhaniara, Hamirpur was inaugurated in the year 1983 with an aim to stand as the Model Vidyalaya with all required facilities to train the children as the best citizens. Founded under the patronage of Kendriya Vidyalaya Sangathan, New Delhi, Kendriya Vidyalya 14 GTC, Subathu, Solan stands a testimony to the ever-increasing number of pupils passing through its portals, molded in all spheres, fit to face the growing challenges of the modern world. Kendriya Vidyalaya Reckong Peo, Kinnaur is a co-ed school managed by Kendriya Vidyalaya Sangathan. Kendriya Vidyalaya Yol Cantt, Kangra is managed by the Kendriya Vidyalaya Sangathan, an autonomous body formed by the Ministry of Human Resource Development, Govt. Kendriya Vidyalaya Khaliar Mandi (H.